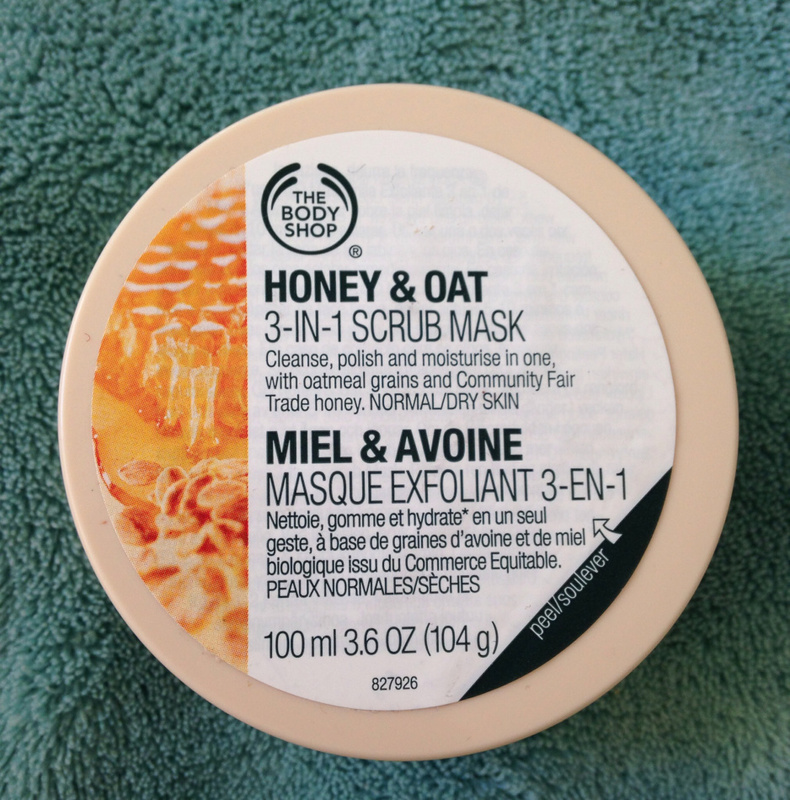 I got the Honey & Oat 3-in-1 Scrub Mask a while ago in one of my many Body Shop hauls and it is definitely one of their best products. I love doing face masks because they make my face feel so smooth and hydrated. 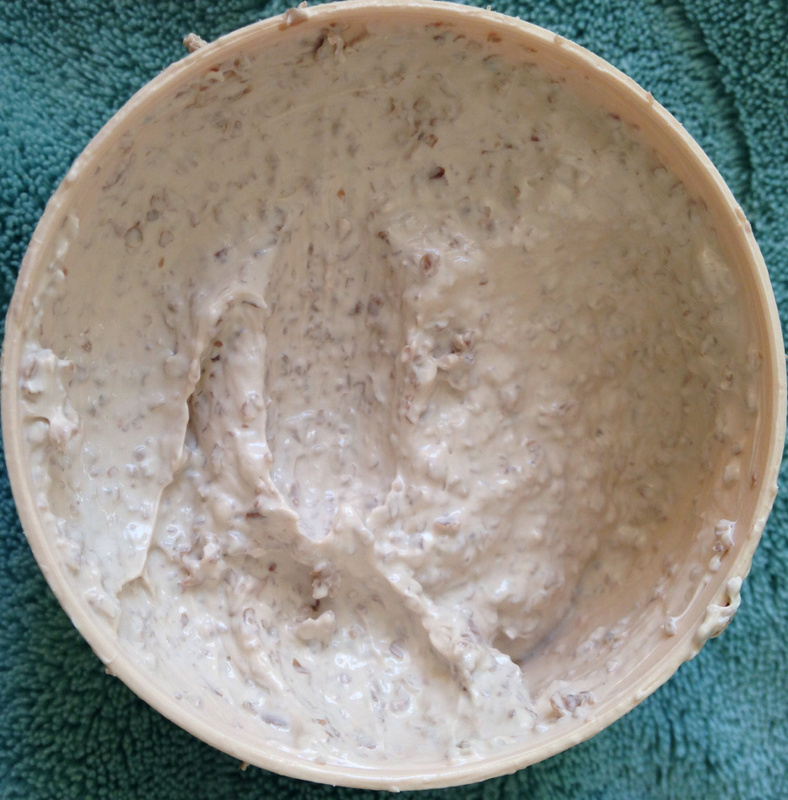 Also depending on what type of face mask you go for, they can help reduce spots and redness. I try to do a face or scrub mask at least once a week, sometimes more if I feel my skin is dry or I'm feeling a bit run down. 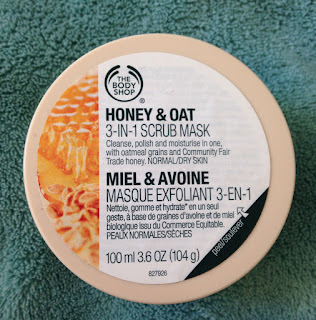 The Body Shop Honey & Oat 3-in-1 Scrub Mask is fantastic and I am glad I went for that one. I was deliberating between 3 scrubs to begin with: Blue Corn 3-In-1 Deep Cleansing Scrub Mask, Seaweed Iconic Clay Mask and the Honey & Oat one. Ultimately I went for the Honey & Oat one because I prefered the ingredients and it sounded a little bit better, I do want to try the other two at some point though. The content of the pot reminds me of porridge, but don't be put off by it's appearance because it does the job perfectly. As they say never judge a book by its cover. The oats really do make the scrub great and help exfoliate your skin. My face always smells great afterwards because of the nice honey scent and it is so refreshing. Personally I have found it helps hydrate, soften and refresh my skin. It also really does help with spots and I have found it calms them down, and reduces redness and even size. The Scrub Mask is £10 which can seem a little bit too much for the size of the product. That was the only thing I was disappointed with when I got the mask in the post, it was a lot smaller than I thought it would be. However, you don't actually use too much when applying the scrub mask so it would last for a long time. If you think it is not worth the price then wait until Body Shop have deals on, then you can get it for a bargain price and not feel guilty about buying it.